Beer is a mineral rich drink that provides B-Group vitamins and minerals such as Magnesium. The barley and hops used in the production of beer are rich in flavonoids, which have powerful antioxidant effects. Moderate alcohol drinking affects many processes in the body, one of which is the significant increase in HDL cholesterol—the good cholesterol. There is evidence supporting beer’s cardio-protective effect and its help in altering the ratio of beneficial HDL cholesterol to LDL cholesterol. Beer consumption may reduce the risk of developing kidney stones. Finnish researchers found that there was a 40% lower risk of kidney stones in beer drinkers. 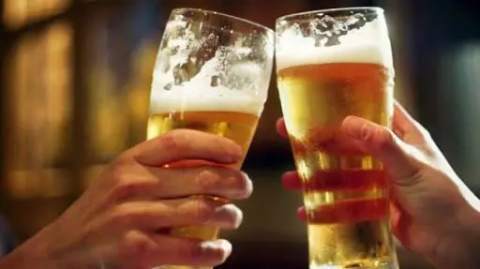 Japanese researchers found that beer helps reduce chromosomal damage from radiation exposure. Beer belly: Heavy beer drinking may promote abdominal obesity in men, so called “beer belly”. Intoxication & Dehydration. Alcohol is a dehydrating agent and downer that reduces activity of the central nervous system. High amounts of alcohol can turn into dehydration, intoxication, and hangover. Beer contains Alcohol and Alcohol can cause blood sugar levels to drop more rapidly. That can stimulate your appetite, and disrupt your ability to tell when you’ve had enough to eat. This can also create fatigue and your energy level will suffer.